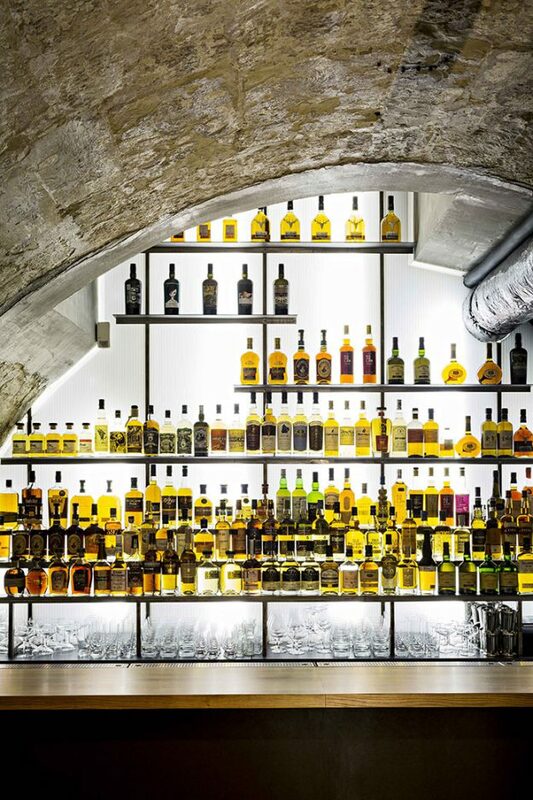 This week in Plume Voyage Magazine: Golden Promise, a whiskey lovers’ paradise, Iodized happy hours at the Bar à huîtres,The Café Altitude, new season, The Suzependue Station settles in Paris. 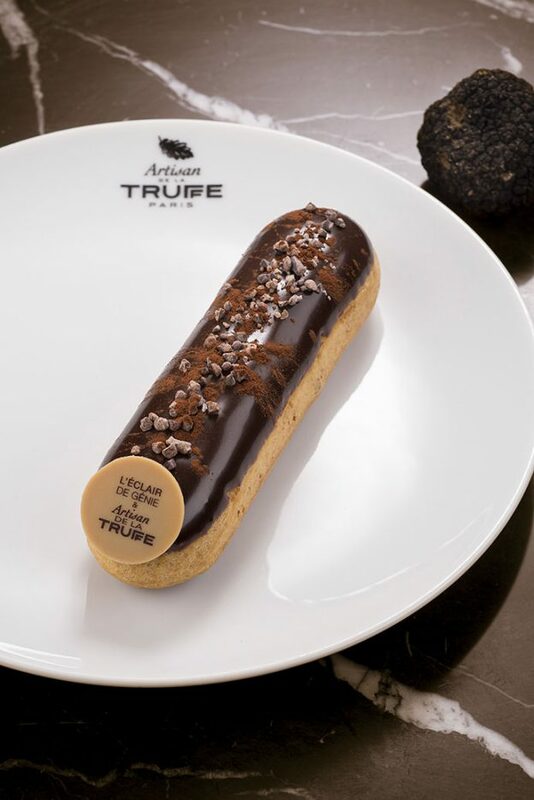 Artisan de la Truffe and the Eclair de Génie are co-signing a delight, L’Atelier Maison de la Truffe, special truffle corner of the Galeries Lafayette, Truffes Folies, the truffle palace, L’Office, ten years already. 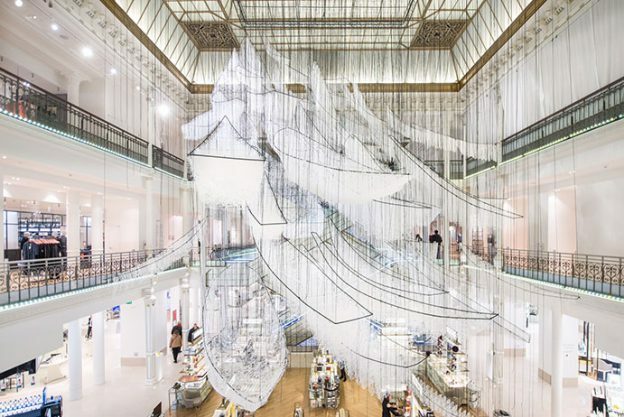 Chiharu Shiota is weaving at the Bon Marché, 100 designers are exposed for the second season of Empreintes, Jean-Luc Rocha moves to Saint-James, Le Cordon Bleu is opening its café. Happy Paris ! The Café A is putting on its winter coat and transforming into Café Altitude for the second consecutive year. Lose yourself in the forest of snow-covered trees between gondolas and chairlifts before enjoying a raclette. 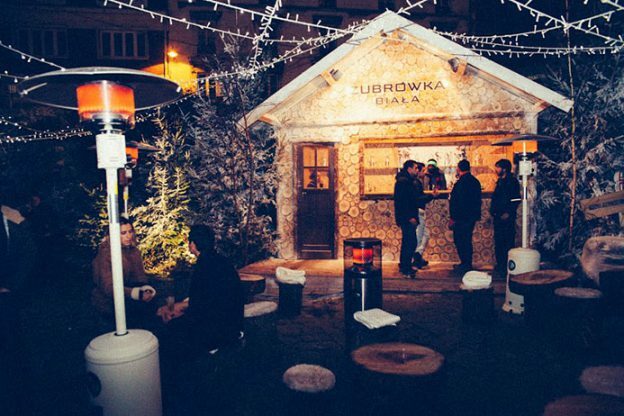 Participate in the DIY workshops orchestrated by the Zubrowka instructors who will teach you the right combinations to make delicious cocktails based on Biala vodka. 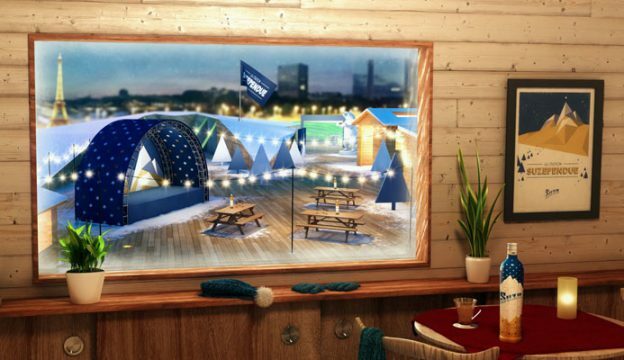 Make your own cocktails with ski shoes on in order to show that you know how to stay stylish in all the circumstances then go to the privatizable igloo in order to taste your creation. Everything is planned to allow you to recover before enjoying three highlights, DJ sets in the chapel. The whole program runs until April 8th. On the occasion of the “Métro, boulot, gâteaux” event at the BHV Marais, until February 22nd, Artisan de la Truffe is presenting on the menu an ephemeral dessert made by the pastry chef Christophe Adam, from the Eclair de Génie. Seduced by the subtlety of the summer truffle, he chose to create a truffle chocolate éclair. And to exhale all the aromas, he marries it to a 72% Araguani dark chocolate. The choux pastry of this eclair thus contains a purée of summer truffle mixed with a chocolate cream. The frosting, the master stage of the Eclair de Génie creations, is created with a caramelised cocoa grater and cocoa powder. Suddenly craving truffle and no time to sit around a table? No problem. Head to the Galeries Lafayette Gourmet and take a seat around the zinc of the Atelier Maison de la truffe. Nothing prepared here, but street food dishes revisited and enriched with the tuber melanosporum aromas of which the House became a specialty. Burger, hot dog, brie, risotto, brouillade, madeleine, here everything is declined with truffle. 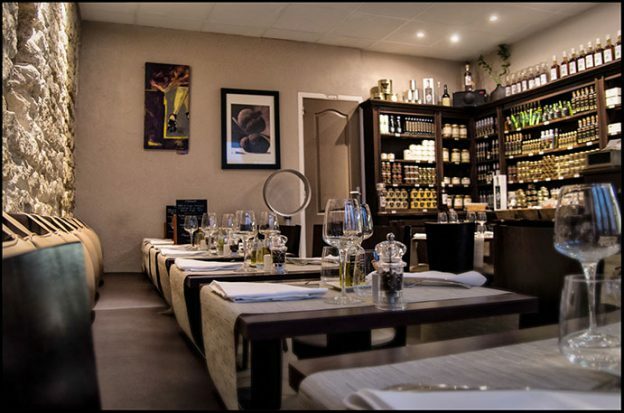 Ideal for an on-the-go lunch, the Atelier also offers a take-away menu and a wide selection of products in its boutique corner. 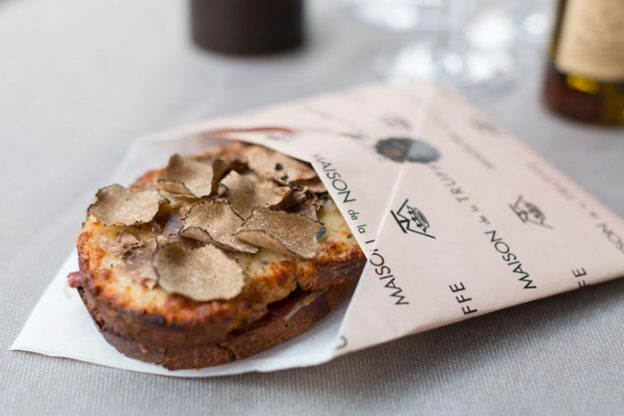 An innovative concept that de-sacralizes the truffle and makes it more accessible. Looking for truffles, whatever the season? Then write down this address: 37 rue Malar in the 7th arrondissement. Here you can always satisfy your craving for black or white diamond for that matter. Imagined by Cyril Bocciarelli, Truffes Folies offers a selection of dishes generously accompanied by truffles. 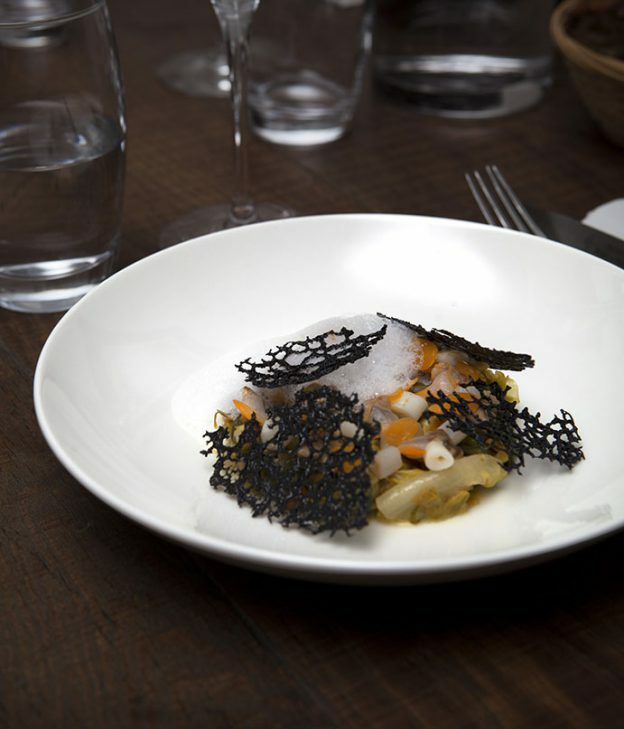 Besides the unmissable, the chef Nicolas Orlando is offering egg casserole, carpaccio of saint-jacques and velouté of ceps, we also find an excellente risotto, pasta al dente … always accompanied by truffle. The cheese, the toast, the grissins, everything is truffle here. Everything at affordable prices … And if you ever want to bring back some, do not worry: the delicatessen corner has everything you’re looking for. In the peaceful rue Richer, L’Office has been attracting customers for ten years. Launched by Nicolas Scheidt, the address is now run by Charles Companion, a young thirty-year-old restorer and Benjamin Schmitt in the kitchen. 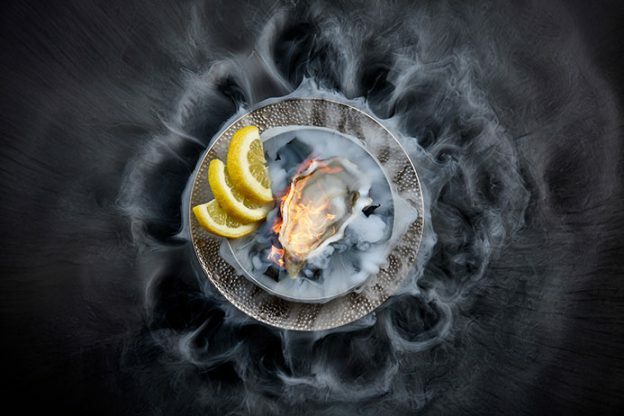 A duo of shock for an excellent bistronomic restaurant, especially as the prices are wise, which is not always the case for this kind of address. Although the room is a little cramped, but the good mood of the service and especially the quality of the plates makes you forget this small inconvenience. It must be said that Chef Benjamin Schmitt already has a fine track behind him, despite his young age: three years at the Meurice with Yannick Alléno, then towards Berlin at the Soliste with Pierre Gagnaire and at Pierre Hatmann’s, before returning to France at La Truffière and today at L’Office. So many stages that have forged his conception of a perfect cuisine, modern but without excess, and which of course are created with beautiful seasonal products. The art and crafts concept store opens a new opus with the exhibition “Crazy” which presents the singular objects of a hundred new designers and a new programming in the room of projection. 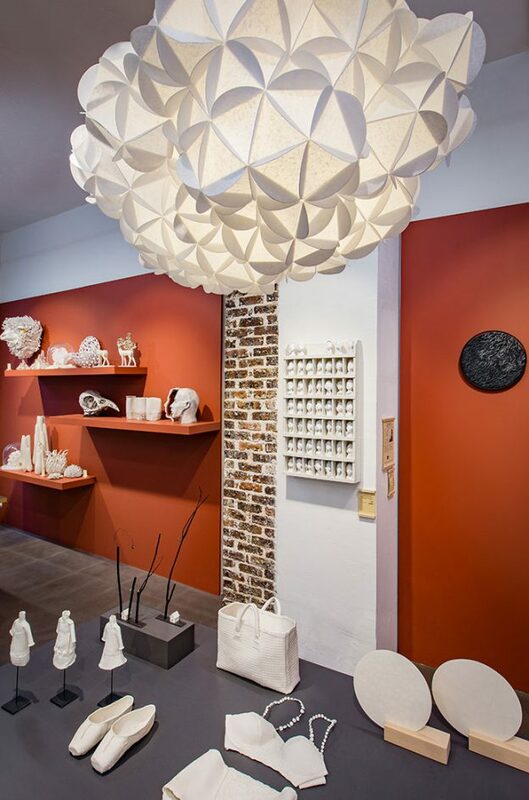 A grain of madness that is also the occasion to highlight the creations of the ceramist Kaori Kurihara and the ornemanist gilder Xavier Christmas. Two profiles, two universes, which meet and respond. The first one is inspired by the fruits, nature, which she transcends with poetry and fantasy. The second one allows his imagination to wander between primitive and pop culture to give life to fetishes. 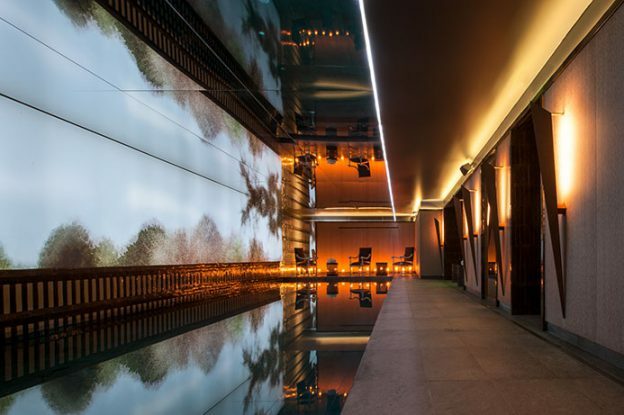 Emblematic chef of Cordeillan-Bages where he received two stars, Jean-Luc Rocha, Meilleur Ouvrier de France has just taken over the kitchens of Saint James where he will propose his gourmet and reassuring cuisine. “Saint James is a magnificent house, a haven of greenery and tranquility in the city,” says Jean-Luc Rocha. A la carte, you will find some of his signature dishes such as the Papin oyster and caviar of Aquitaine which are tossed in a soup of potato Vichy way. But also the foie gras in sesame and poppy crust or the pigeon marinated for six hours in an Earl Gray tea then roasted. 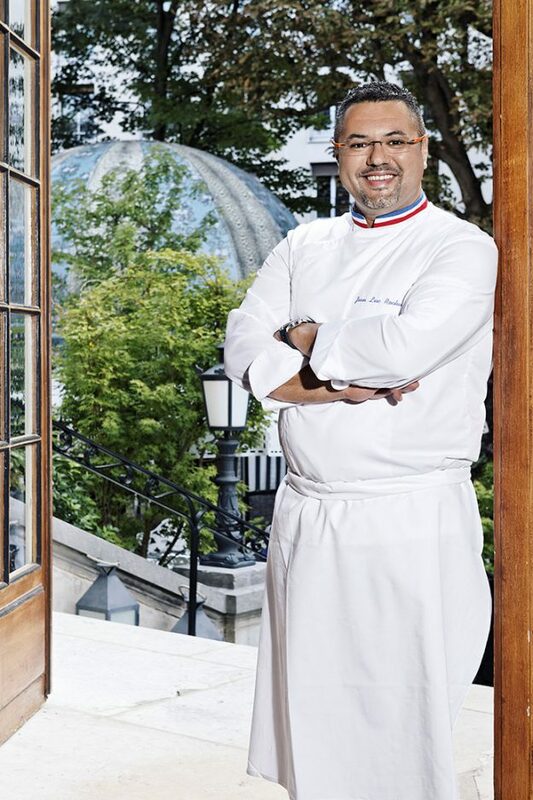 He will be supported by two young talents: pastry chef Mathias Alet and sommelier chef Elise Esnouf. The famous culinary institutes are opening a first café on the banks of the Seine in the 15th arrondissement. There is a wide range of artisan breads, pastries, viennoiseries, gourmet sandwiches and varied salads, complemented by specialties of the day. With a menu suitable for all times of the day, Le Café Le Cordon Bleu is the ideal place for gourmet breaks at any time of the day. Celebrating the creations and know-how of Le Cordon Bleu chefs, the coffee menu offers a varied choice inspired by the seasons. Using only the best ingredients, some from the roof garden of the institute, Café Le Cordon Bleu offers a range of quality meals, prepared on site every day. Created by Alexandre Micka and starred by Brigitte Bardot during the filming of the film “And God Created the Woman”, the tarte tropézienne is the same since the late 1950s, although it is today declined in mouthfuls. 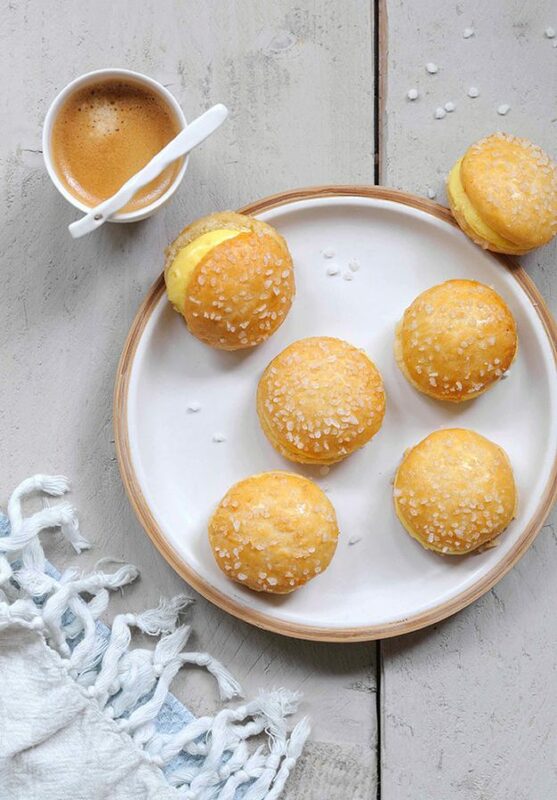 For those who love its creamy and sweet aspect, know that it will be available at BHV Marais until February 26th. 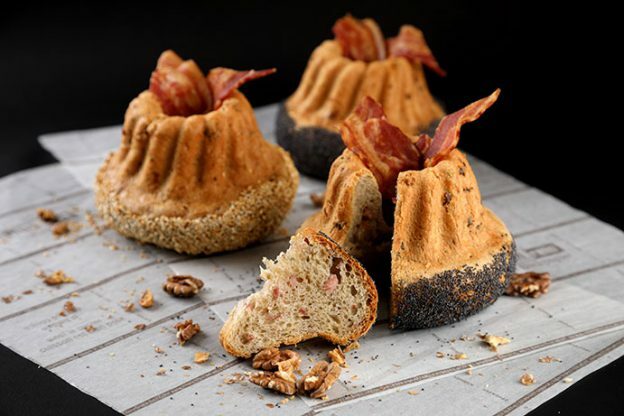 As part of an ephemeral pop-up store, fans will find the classic in all its forms without forgetting the baby-tropezienne and special Valentine’s Day cakes. Whether you want to put yourself in the mood of the February holidays or you feel nostalgic of mountain chalets, go to Café de l’Homme. Until the end of March, its terrace becomes a mountain restaurant. 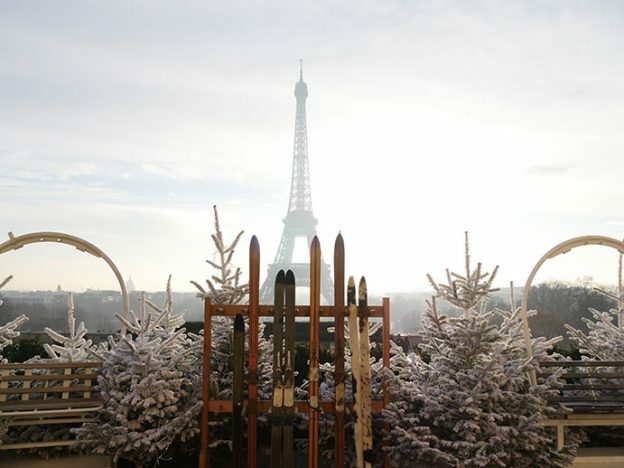 The occasion to drink a mulled wine while looking at the Eiffel Tower, to enjoy a raclette on the banks of the Seine or a plate of seafood. Snow and frosted firs complete the illusion of the ephemeral igloo. And for the most chilly, you can even find a winter hat on spot! 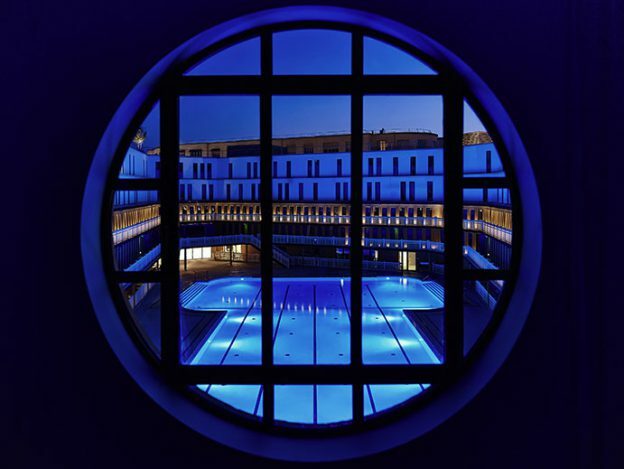 Since we can not enjoy the outdoor swimming pool for a while, Hotel Molitor offers yoga sessions in its new Studio. This wellness area, dedicated to the concentration on oneself, allows to enjoy the daily lessons (collective or private) conceived especially for the guests of the hotel Molitor by experts of the different techniques of yoga, for a unique approach of the discipline: The yoga warriors, dynamic and destructured oriented towards the physical benefits, the Hatha yoga, exercises most prevalent in Europe, the Vinyasa yoga which enchains dynamic movements and respiratory exercises or Yod’ha Yoga, a cardio version. The access to the hammam makes it possible to perfect the relaxation.